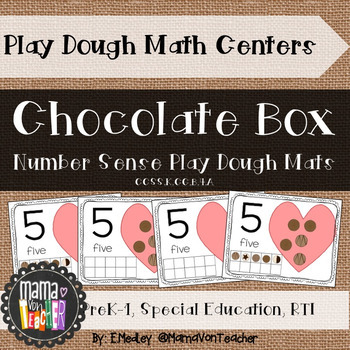 VALENTINE CHOCOLATE BOX THEMED DIFFERENTIATED PLAY DOUGH MATH CENTER for PreK-1 includes a collection of four variations of counting mats for the development of number sense and counting skills. Intentionally created to be SIMPLE & FREE of excessive clipart - Designed for and used with my own students who have special learning needs. These were created because I just couldn't find exactly what I was looking for online - I needed something that I could differentiate for a wide variety of levels in my classroom! 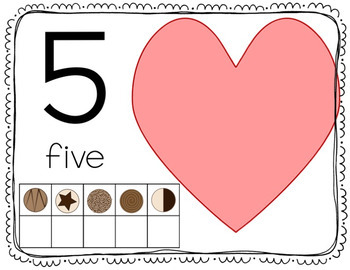 Common Core aligned with Counting & Cardinality standards and ideal for special education and RTI programs! - Cut out small ‘masters,’ punch a hole in upper left corner & put on a metal ring to make a ‘master’ book for self-checking. 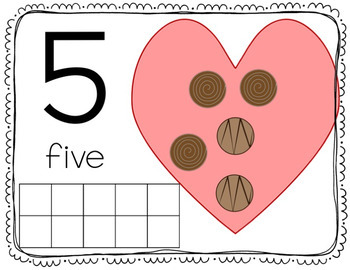 KEYWORDS: valentine, chocolate, love, chocolate boxes, sweets, February, friendship, cocoa, truffles, number sense, winter, colors, special education, RTI, response to intervention.